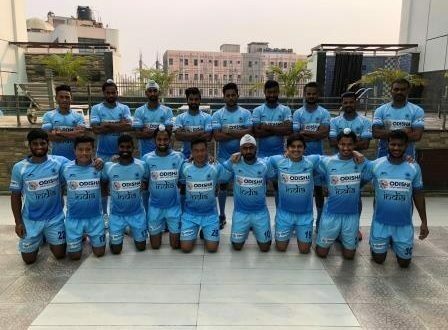 New Delhi:8/11/18: Hockey India on Thursday named the 18-member Indian men’s hockey team, who will represent the host nation at the Odisha Hockey Men’s World Cup 2018 to begin on November 28 at the iconic Kalinga Stadium in Bhubaneswar. The team will be led by Manpreet Singh while the Vice Captain is Chinglensana Singh Kangujam. Odisha’s experienced defender Birendra Lakra, who makes a comeback into the team after missing out the Hero Asian Champions Trophy in Muscat last month due to rehabilitation, will be joined by fellow Odia Amit Rohidas, Surender Kumar, Kothajit Singh and 2016 Junior World Cup winners Harmanpreet Singh, Varun Kumar to form India’s defence with three of them specialized as drag-flickers. The midfield will see the dynamic Manpreet Singh who played a pivotal role in India’s campaign as defending Champions at the Hero Asian Champions Trophy. Chinglensana Singh Kangujam will add to the experience in the centre along with young guns Sumit, Nilakanta Sharma also of the Junior World Cup team and Hardik Singh, who made his International debut last month. India grouped in Pool C along with World No.3 Belgium, Canada and South Africa will need to finish on top of the pool to secure a place in the Quarter Final. The core group of 34 will continue to train in Bhubaneswar till 23 November after which the team will finalise its preparations for the Odisha Hockey Men’s World Cup Bhubaneswar 2018.